Subtitle: Christians are to be in much prayer always, not falling prey to special call to pray according to a framework constructed by Satanic numbers! Christian leaders weak on Bible Doctrine, seeking after a religious experience Satan can counterfeit, are always at risk of being spiritually deceived! Are you going to fall for this unparalleled deception? Since the leadership of this World Prayer Team effort to pray -- according to the same Satanic schedule as set forth by the Global Consciousness Movement -- is strongly Charismatic, we need to spend a few moments speaking of the Charismatics before we move into the meat of our discussion. Born-again children of God are called to a life of prayer. The child of God is commanded to "pray without ceasing", "be sober and watch unto prayer", and "praying always with all prayer and supplication the Spirit". Biblical truth also informs the believer that he or she can "boldly come before the Throne of Grace" through the righteousness and merits of Jesus Christ. The believer who fails to pray seriously hinders his fellowship with the Father, and thus is in jeopardy of living a life void of the power of the Holy Spirit with only the support of the arm of the flesh. Believers are commanded to seek the will of the Father in all matters, large and small. Though the Holy Sprit makes intercession for the believer due to his lack of understanding as to that for which he ought to pray, the believer has a well-defined responsibility to spend time in prayer to the Father, through the Son, under the direction of the Holy Spirit. Historical accounts of great men of prayer like George Mueller abound, and these individuals serve as examples for all who today name the name of Jesus Christ. This description is indicative of many of those who are involved in what has come to be characterized as the Charismatic Movement. Not one of these statements is true, yet these are the very foundation of modern Charismatic and Dominion theologies. The notable Charismatic figures of today-Benny Hinn, Kenneth Copeland, and Kenneth Hagin are espousing philosophies and doctrines more akin to pantheism, eastern mysticism, and occultism than Christianity. For example, Benny Hinn has reportedly been to the graves of noted First Wave Charismatics Aimee Semple McPherson and Kathryn Kuhlman to receive an anointing from their bones (3). This macabre, paranormal practice is not anything new. While this may sound as if this practice originated with Mary Shelley in Frankenstien, Adolf Hilter actually sent his SS troops to the cemetery with their wives in order to conceive children on the graves of famous Aryans. He believed that the spirit of the child conceived would receive a special anointing from the bones of those who lay in the graves. 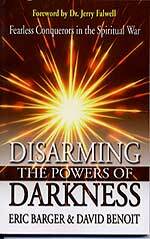 This paranormal occult practice is now parroted by a leading Charismatic preacher and author. Even with such unthinkable acts of Luciferic lunacy such as this, Charismatic Movement rose in three waves that rolled as tidal waves over the entire span of the 20th Century. 1901, Topeka, KS, Bethel Bible College-Agnes Ozman received what she called the "Baptism of the Holy Spirit" and spoke in "tongues". 1960--The modern Charismatic Movement began in St Mark's Episcopal Church, Van Nuys, CA. 1962 -The glossolalia phenomenon broke out at Yale University among the members of the evangelical Intervarsity Christian Fellowship. This included Episcopalians, Lutherans, Presbyterians, Methodists, and 1 Roman Catholic. 1967-Spring Vacation-30 zealous Catholics in the Notre Dame area received the "Baptism of the Holy Spirit". 2. 1906-1960---Pentecostals are generally viewed as a lunatic fringe of "holy rollers"
5. 1962----------The Glossolalia Movement breaks out at Yale University. Yale University is the home of "The Society of Skull and Bones"-- the training ground of the Illuminati in the US. This fact begs the supposition that "Skull and Bones" members could have easily infiltrated Intervarsity Christian Fellowship at Yale. The fact that this happened at Yale is too much to be coincidental. 6. 1960-1963---Vatican II is led by Popes who suddenly embrace the concepts of a One-World Government and a One-World Religion. Traditional Catholics assert the Papacy to have been infiltrated by the Illuminati. As a result of Vatican II, the Catholic Ecumenical Movement is launched. 7. 1963-1967-Fundamentalism continues its rapid growth, and the Catholic Ecumenical Movement fails. 8. 1967----------30 zealous Catholics at Notre Dame break with tradition and receive the "Baptism of the Holy Spirit". 11. 1983----------Fundamentalism declines, Charismatic Assemblies of God are now the world's fastest -growing churches with over 10,000,000 Charismatics in the US. 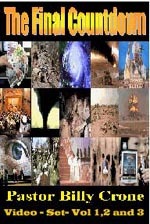 While some of the movements and organizations listed above are truly conservative and well intentioned (others are neither conservative nor well-intentioned), the tragic truth is that these "good causes" have made vast contributions toward deceiving true Christians into embracing Charismatics and supporting the construction of the One World Religion of Antichrist. 1. The Illuminati saw the potential to manipulate Pentecostals, and infiltrated Pentecostal groups immediately after World War II. did the resulting Vatican II directives run contrary to traditional Catholicism, but overtly embraced the Illuminist goal of an all-encompassing One-world Religion. 3. When the Ecumenical Movement failed, the fertile Illuminist ground of Yale University became a spawning ground of both Catholic and Protestant Charismatics. Those who would scream foul at the suggestion of a conspiracy in this scenario are not seeing the long-term Illuminist vision within (not between) the lines as presented above. The plan is to build a One World Church under the leadership of the Papacy, and the Bible confirms the ultimate success of this plan in Revelation 13 and Revelation 17. The issue at large in this case is the continued attack on the Fundamentalist Christians who continue to stand in opposition to the success of the plan. However, the tragedy of today's Fundamentalism and Evangelicalism is found in Outcome-based Religion that grows the church at the expense of doctrine. These methods produce members who have no clue as to what they believe or why they believe what they do. Such ill-equipped soldiers are then easy prey in the spiritual battles facing those today who are truly born again of the Spirit of God. Did not Mr. Wimber realize that Jesus Christ, when He walked the earth was God in the flesh? Did he not realize that Jesus Christ as God, possessed all the attributes of God? The contention that Jesus at times did not have knowledge of an illness and needed assistance from the Holy Spirit is blasphemy against the incarnate God! Yet, the methods for church growth in the Wimber/Wagner classroom were the exercising of Kingdom Evangelism, Kingdom Principles, and Kingdom Authority. To do this the "People of the Kingdom" were to utilize their Kingdom Authority to among other things, "rise the dead". If this is the case, every Christian who ever walked the face of the earth should have been chronicling his or her experiences as appendixes to the Inspired Word of God. For if our experiences topple our theology, does that not subordinate the Word of God to human experience? Where should our theology originate? The only source for true theology is within the pages of the written, preserved Word of God. Theology should not come from visions, dreams, or human experience. It is only derived from the doctrinal teaching found in the Word of God. · Bill McCartney, founder of PromiseKeepers-Bill McCartney is a member of the charismatic Vineyard Fellowship formerly pastored by the late John Wimber. The Vineyard Fellowship in Toronto was the originating point for the infamous "Laughing Revival", "Holy Glue", and "Lion Roaring". 1. Where is this curse on America found in Malachi? 2. Where does the Bible state that Jesus was a revolutionary? 3. Where does the Bible state that Any Nazarite other than Samson ever led Israel? 4. Where are all these Nazarites? 5. What does this have to do with the World Wide Day of Prayer? 6. Are the Nazarites going to defeat Iraq? While we cannot see the hearts of the individuals involved, we can certainly see that the methods and theology of the Charismatic Movement are in opposition to the teachings of the Word of God. If these individuals are already involved in practices that originate in Luciferic sources, what is going to prevent their participation in an event such as the 03.03.03 with a satanic signature? Should those who are truly saved participate in such an event? 1. Dager, James. "Kingdom Now", Media Spotlight, Vol. 8, #1.
and Church Growth", www.pastornet.net.au/renewal/journal10/b-wimber.html, p.3. 5. Tillin, Tricia. "The New Thing", www.banner.org.uk/res/newthing.html, p.18. This event is so horrific, both because of its bad Biblical doctrine and because it set up the same framework of power as did the New Age Global Consciousness Movement who really originated this day of prayer, that the discerning Christian is filled with extreme dread. Is this the event whereby God will send His "spirit of strong delusion" [2 Thess 2:11] upon the participants? Since this is a prayer filled with Antichrist symbolism and the numerics of "666", you cannot allow yourself to fall prey to this delusive "call to prayer".